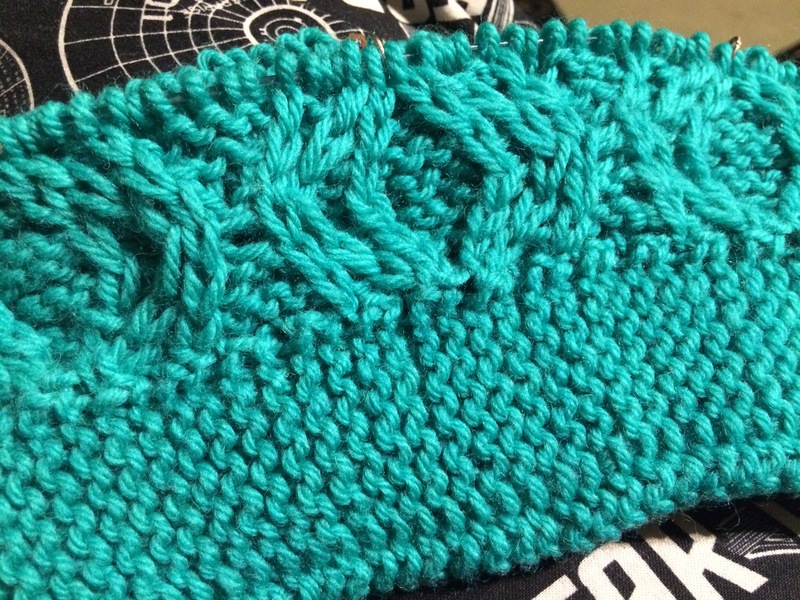 The current Leethalknits KAL hat I’m working on is going very slowly. Every other row is a very cabley/twisted stitch-y row, and takes lots of concentration on top of the pattern AND stitch key. Not great for knit night or on-the-go knitting at all. So I only have twelve rows of the body done.